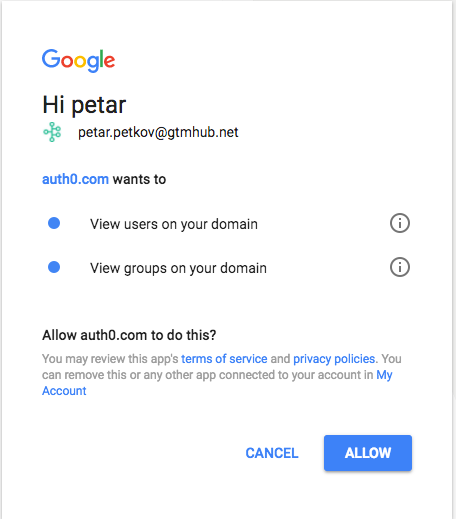 How to integrate Gtmhub with your G Suite SSO. You can connect Gtmhub with G Suite and automatically onboard all your users to Gtmhub. G Suite SSO is Google's solution for providing users the ability to use their G Suite credentials to sign in to enterprise cloud applications via Single Sign-On. In case your company is using G Suite to manage domain access you can connect Gtmhub with G Suite and automatically onboard all your users to Gtmhub. Now you need to give Gtmhub rights to read your G Suite users directory. To do so click on the Open confirmation screen button. If you are administrator of your company's G Suite account will be able to approve the connection. 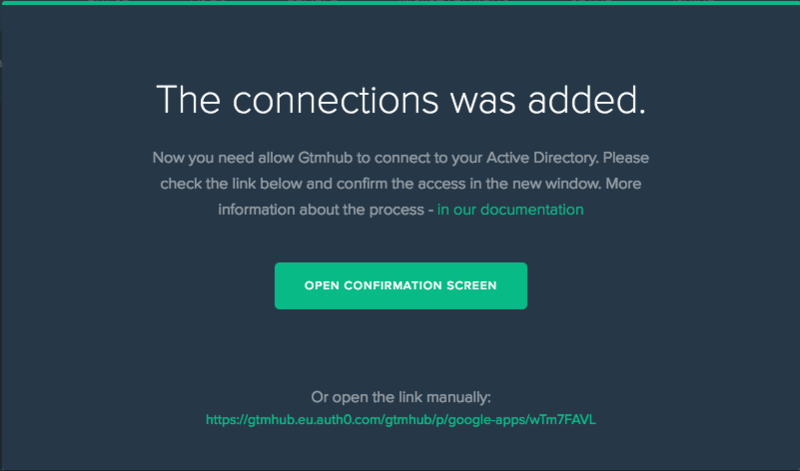 Otherwise please give the generated link to someone who has the necessary permissions. When on the screen similar to the one below, hit the Allow button. 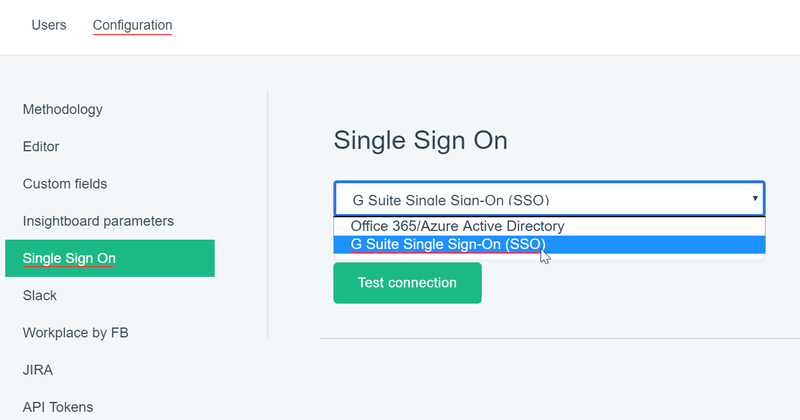 Once the connection has been successfully established, you will see your G Suite SSO connection in Gtmhub. Optionally, you can go here and map your G Suite roles with Gtmhub roles. For example, you could decide that G Suite role "admin" maps to Gtmhub role "admin".